Surfers Aquarius provides the best holiday accommodation for your next getaway. You will love the central location, convenient to both Surfers Paradise and Broadbeach. 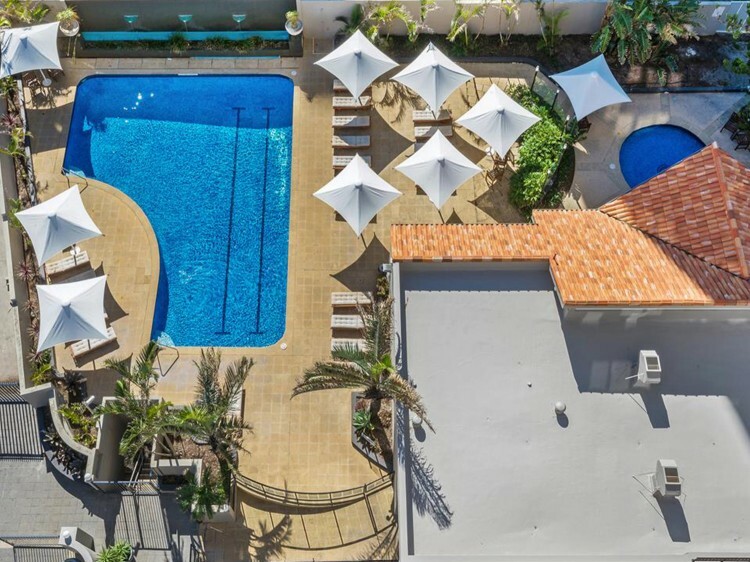 Offering absolute beachfront accommodation with magnificent views of the Gold Coast and fantastic resort facilities including pools, tennis and squash court and more. Surfers Aquarius features a fitness centre with a 2 large heated swimming pools. 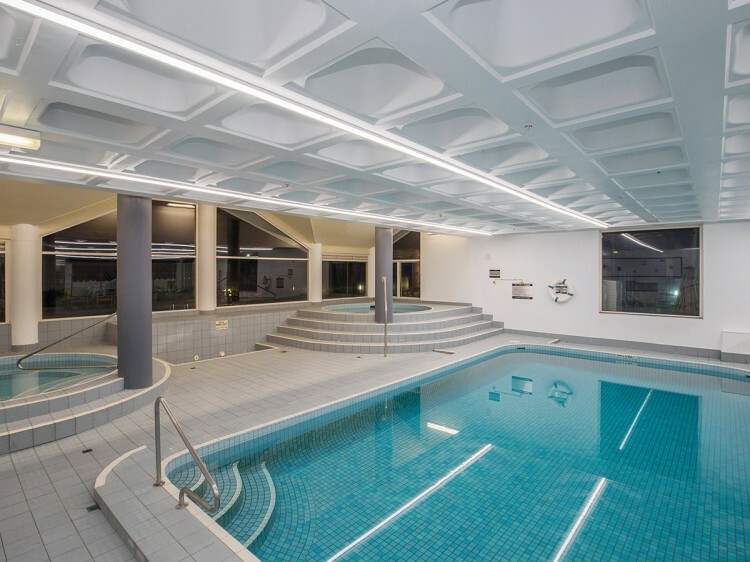 You can also enjoy the 2 heated indoor spas and children’s play pool. 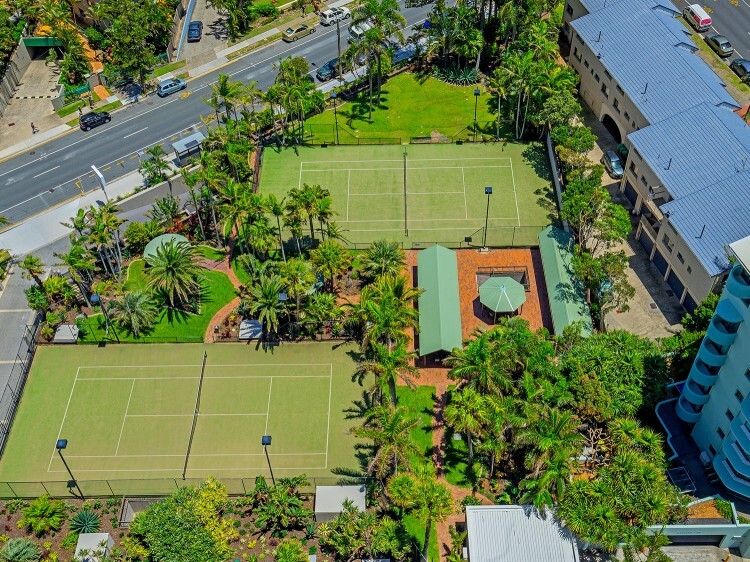 Guests can enjoy amazing recreational activities available, such as 2 floodlit tennis courts, squash court, private beach access, a family friendly barbecue / picnic area and children’s playground. 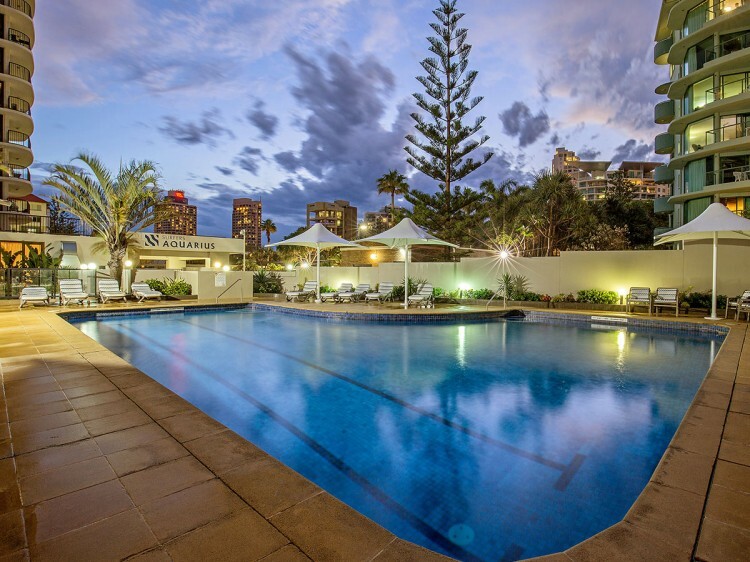 Surfers Aquarius apartments Gold Coast has 85 well-appointed apartments that are accompanied by a variety of essential amenities to ensure guests have a comfortable stay. Enjoy the private balconies, complete with a fully self-contained kitchen, laundry facilities, bath and/or shower, comfortable bedding and spacious living. Featuring full kitchen facilities, dining & living area, one bathroom. laundry facilities and balcony with either views of the gardens, western skyline or river. Updated apartment featuring full kitchen facilities, air conditioned dining & living area, one bathroom, laundry facilities and balcony with views of either views of the gardens, western skyline or river. Featuring full kitchen facilities, dining & living area, two bathrooms, laundry facilities and balcony with views of either the gardens, western skyline or river. Updated apartment featuring full kitchen facilities, dining & living area, two bathrooms, laundry facilities and balcony with views of either the gardens, western skyline or river. Located up to level 13 with north western views featuring full kitchen facilities, dining & living area, two bathrooms, laundry facilities and balcony with partial views through to the beach, the western skyline & river. Located from level 15 featuring full kitchen facilities, dining & living area, two bathrooms, laundry facilities and balcony views spanning past the towers of Surfers Paradise towards The Spit. Updated apartment located from level 15 featuring full kitchen facilities, dining & living area, two bathrooms, laundry facilities and balcony views spanning past the towers of Surfers Paradise towards The Spit. Located ocean facing on the front of the building featuring full kitchen facilities, dining & living area, two bathrooms, laundry facilities and balcony views. Located ocean facing on the front of the building featuring full kitchen facilities, air-conditioned dining & living area, two bathrooms, laundry facilities and balcony views. Photo ID and a credit card pre-authorisation will be required on check-in for all bookings. Should a customer not hold a valid credit card, a cash deposit of up to $300 will be required – this shall be refunded after the apartment has been checked upon departure. Credit card & photo identification must be corresponding to the reservation name. Apartment keys will not be issued to a person not named in the reservation or if any of the above is not met.